Buying eyeglasses can be a confusing process. There are so many choices and even terminology you may not understand. At Jervey, we want to make the process simple. Our expert professionals make it easy for you to walk out with a satisfying pair of eyewear that fits you, your needs and your sense of style. Through the quantum technology leap known as digital surfacing, we also provide you with one of the few products that will ever be completely tailored just for you. 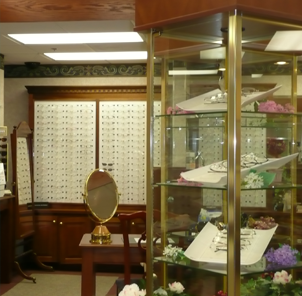 We offer both glasses and sunglasses from a variety of exceptional designers, including Versace, Fendi, Coach, Kate Spade, Ray-Ban, Costa del Mar, Fysh, Maui Jim, and more. Our new lens technology (digital free-form surfacing) takes enhanced measurements with an opti-cam and allows us to capture several measurements that most optical labs don’t consider. Why shop for eyewear online when you could get sharper, crisper vision customized to all of your wearing parameters—not just prescription.